I don’t like Mothers Day to be honest. Do I write this every year? I grew up in a dysfunctional family and so mostly it brings back bad memories… or stressful tense filled ones…. I still don’t like it… so many expectations that are often not met…. I hardly even want to be on FB on mothers day as I don’t like reading all the gooshy messages LOL. I am thankful for all those who have beautiful stories to tell and Mum’s to thank but I am very aware of the pain that is felt by many as well. I love my mum to pieces. Unfortunately she has advanced Alzheimer’s now which is so sad. My heart goes out to everyone for whom this day is unpleasant, lonely and brings back bad memories…. they suffer silently and try to escape the reminders that it’s not a good day for them. I have one very strong memory of Mothers Day that I am sure I have written of before. It was a tense time and this particular year it was so filled with turmoil that I didn’t visit or make contact with my mum for Mothers Day. 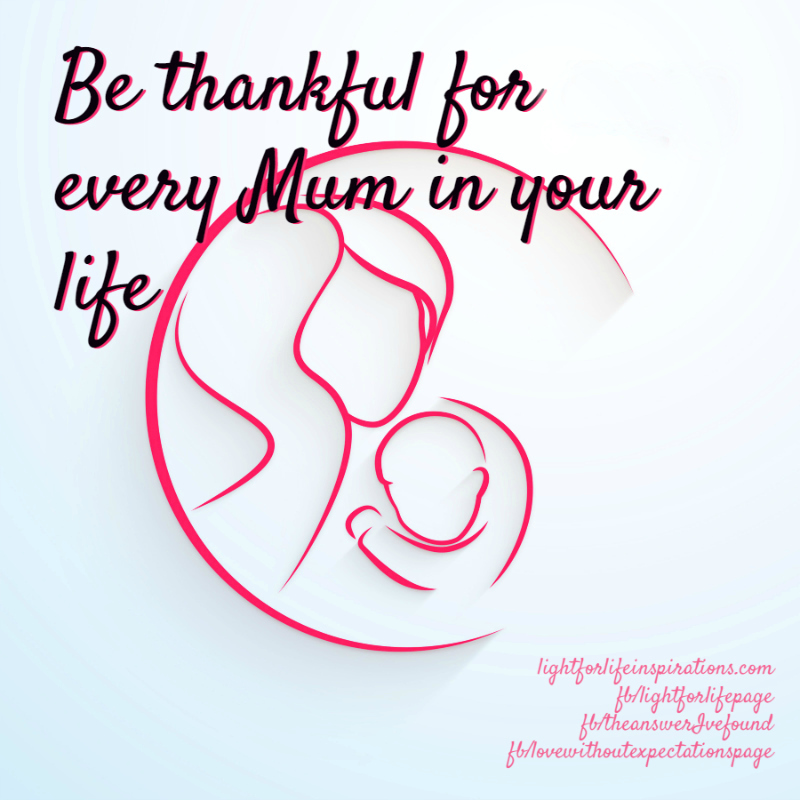 Feeling depressed, racked with guilt, hurt, wanting to wish it away I went out for the day with my now husband, hoping to get away from it but that is not meant to be as everywhere we drove were reminders of Mothers Day. There were people selling flowers, people buying flowers, people giving and receiving flowers, on their way to lunch, at lunch, on their way home from lunch. People having a joyous time and no way to escape for those who wanted to. I am so very very thankful for my Mum, despite all we went through, she was an amazing woman and I am so thankful for her in a million different ways and I am also so very very thankful to God for the other ‘Mums’ that He placed in my life in my times of need. You are sometimes a Mum when you are not even a Mum. Happy Mothers Day to every Mum whether Mum or not! I speak for all those for for whom this day is not an easy one. Celebrate, dysfuntional, love, Mom, Mothers Day, Mum, struggle. Bookmark.